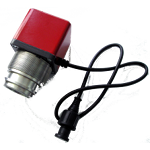 TS Sensor SVG-2.0 manufacturer – TS Sensor. Cargo weighing system allows you to measure the weight of the cargo in the vehicle body by measuring indirect parameters. Depending on the modification, variation of the distance measurement is performed clearance and pressure in the air suspension system of the vehicle. The system can automatically determine the number and quality of the sensors. Depending on the configuration of the vehicle (number of axles, suspension type, the presence of a trailer or semitrailer) is evaluated weight change.